Intuit has published Release 9 of QuickBooks 2009 (R9). You can get it through the manual update as well as the automatic update process. I’ve been running it without any problems myself. There is a knowledge base article that talks about the changes briefly. I’ll talk about the biggest change, based on notifications I’ve received. Note that this affects the US desktop editions of QuickBooks Pro and Premier (possibly Simple Start?) 2009 and Enterprise 9.0. Update on 12/3/2009: Please see my update article on potential problems with the R9 release. 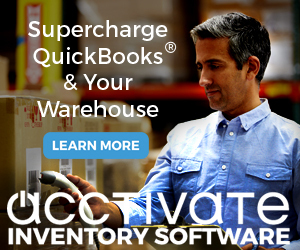 The primary change is an update to the underlying database engine that QuickBooks uses. They are changing the 2009 product to use the same database engine that I believe they use in the 2010 product. According to Intuit this should provide “significant improvements in many areas of data handling, including those areas which are associated with rare instances of data corruption, especially among heavy users“. No mention of speed improvements, which is something that they touted for the 2010 product. So what we are talking about is a potential improvement of the reliability of the database, which is always something to hope for. 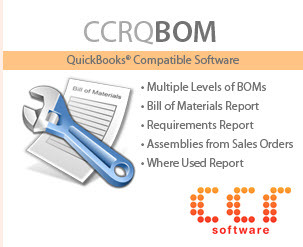 QuickBooks (like every other accounting software I’ve worked with) sometimes can have problems where data is lost, damaged or otherwise scrambled. It is a fact of life when you are working with a very complicated database in a wide variety of types of computer systems and operating environments. There are a number of bug fixes as well, as I list in this followup article. There is a small downside to this update, but it is manageable. This is a big change in the database, so after you install it and you open your QuickBooks company file, you will be asked to make a backup and warned about compatibility. So make sure you do the update at a time when you can shut everyone out to do the conversion. If you are working with an accountant (etc.) who is accessing your file directly, you have to make sure that you are on the same release. If you convert to R9 but the accountant is on R8 or older, they won’t be able to open your file. Usually this is a problem only if you have a different year of product, not release. If your accountant has R9 and you have R8, the file will be converted and you can no longer access your file (until you move up to R9). Please note that the recommended way to have an accountant work with your files is to use the accountant’s copy of your files, and then import the accountant’s changes back to your files. If you use this method you do not have this compatibility problem. 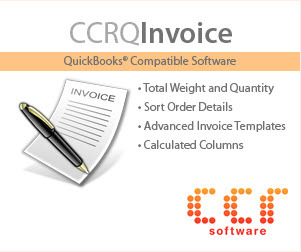 If your accountant has any release of QB 2009 or 2010 they can work with your 2009 company file via the accountant’s copy method. Note that Intuit has released detailed update instructions that can help you. Hope that is clear, if not let me know. how do i move up to r9. we installed but cannot open the new company file. Nancy, in the update to the article I provide a link to an Intuit support site that has detailed instructions on what to do with R9 installation. That is the point to start at.